Czech rivers offer a number of opportunities for water-sport fans for self-realization. One can find stretches of the rivers of all difficulties, starting from calm rivers for beginners to world most difficult water slalom stretch of Moldau river called Devil’s currents located close to water dam called Lipno. That is why water sports are very popular in Czech Republic and therefor I would like to dedicate this sport blog to water sports, such as kayaking, rafting and canoeing. I will introduce rivers Moldau (Vltava), Luznice, Berounka and Sazava as they are the four most attractive rivers to visit. Nonetheless, the actual number of possible trips ranges beyond rivers mentioned here. One of the most beautiful water-way is located around Cesky Krumlov. One can combine a nice walking in the area of Cesky Krulmov together with kayaking and/or rafting. There are two possibilities – upstream and downstream. The upstream starts in “Vyssi Brod”, a small town with a nice castle. This stretch of the Vltava River is narrow with shallow rapids, and is controlled by five or six concrete weirs of about one meter in height. The weirs have inbuilt ramps designed for canoeing and rafting , but it’s important to know whether they’re on the left or right side of the river as you approach. Your driver will tell you this before you set off, so make sure you pay attention or write it down – It’ll be something like “left, left, right, portage, right”. When the river approaches the old paper mill at Vetrni it gets wider, deeper and slower and lazy paddlers have to start making an effort. The downstream starts at Cesky Krumlov and finishes in Borsov or Ceske Budejovice. This part of the river leads through past a number of convenient riverbank pubs and the old monastery town of Zlatá Koruna. Where to borrow the equipment? Malecek boat rentals, Rooseveltova 28, 38101 Cesky Krumlov, Tel. 380 712508. For pricelist and detailed information visit their website: http://en.malecek.cz/Boat_rental/. In case you don’t go by car, the best way is to use bus to Cesky Krumlov. For the connections see www.jizdnirady.cz. Several places on the Luznice river are popular destinations for recreation and water sports. It is ideal place to relax and in terms of water sports it is suitable for beginners. Moreover the river banks offer lots of opportunities for “energy refill” as there are lots of restaurants and pubs. The only important part thing is to make sure that the area around Tabor has enough water. You can start your trip from the town “Tabor” towards the Luznice river estuary but the traditional start of the trip is at Nova Ves. It is also beautiful to visit Rozmberk lake where one can besides kayaking and canoeing go for sightseeing (especially to the Rozmberk castle). Maps of other possible water routes can be found: http://efko.xf.cz/Vodak2005/mapy.htm. The most suitable way is to go by bus to Trebon or to Tabor (depending on where you want to start your trip). For the connections, go to www.jizdnirady.cz. This area is popular for camping. Famous place for tenting is located close by Rozmberk lake called Kemp Luznice, Luznice 70, 37901 Trebon, tel: 724 061 513, website: www.radosta.cz. In case you prefer to have a room instead of the tent, you can visit the official website of Luznice town and check the availability of local hostels and hotels: www.penziony.cz/ubytovani/luznice/. The river Berounka is one of the most beautiful rivers in Czech Republic, it is relatively easy and therefore it is also one of the most popular rivers among the water sport fans. The most beautiful parts are from Plzen (Pilsen) to Roztoky or from Beroun to Dobrichovice but one can also continue to Prague from Beroun crossing the village Karlstejn famous for its Karlstejn castle. DRONTE s.r.o., Nad Vodovodem 8, 100 00 Praha 10, mobile: 602 825 869, tel. : 274 779 828, email: pujcovna@dronte.cz, website: http://www.dronte.cz. Pujcovna UCERTA, David Běle, Všeruby 66, 330 16 Všeruby, tel: +420 777 004 289, email: ucerta@email.cz, website: www.pujcovna-ucerta.cz. One can start the trip directly in Plzen and use buses as the way of transportation, or for example from Beroun or Karlstejn that are reachable by the city train. For connections please go to www.jizdnirady.cz. Camp U Dolanského mostu, between the villages Dolany and Chrast, operated by František Bock, tel. : 724 036 984, 606 705 692, http://www.udolanskehomostu.cz. Further camp sites can be found at http://www.padlo.cz/reka/5/berounka/kempy.html. 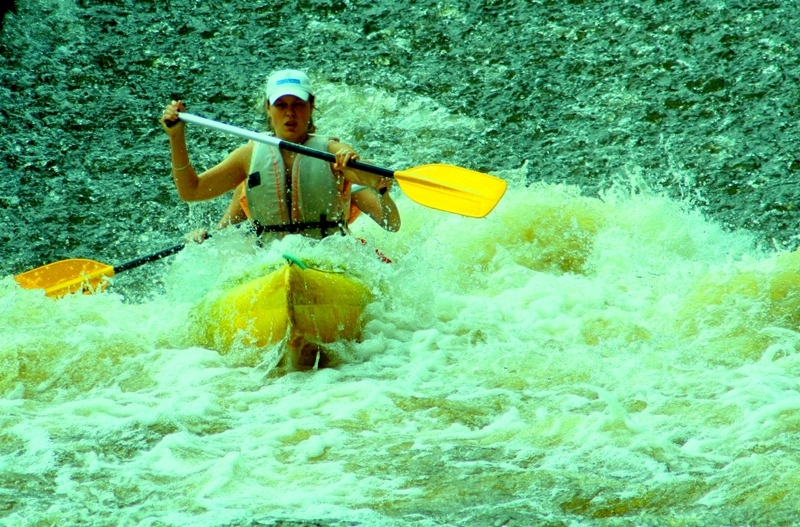 Sazava river is suitable for more experienced water-sport fans as it crosses a number of rapids and wears. The most beautiful parts of the Sazava river are from Tynec nad Sazavou to Pikovice, from Cesky Sternberk to Sazava and/or from Kacov to Cesky Sternberg. Those staying longer than one day should go from Zruc nad Sazavou – Ceský Sternberk. The minimum level of water is 45cm. One can combine the water trip with a sightseeing to the Castle Cesky Sternberg. The recommended way is to go to Cesky Sternberk (with one change on the way) or to Tynec nad Sazavou (again with one change on the way). The connection can be found at www.jizdnirady.cz. Pujcovna lodi Samba s.r.o., Cesky Sternberk 17, 25726, Cesky Sternberk,email: info@pujcovna-lodi.cz, tel: 604 904 737. Camp Kemp Stvoridla, left river bank of the Sazava river. Kemp is equipped with toilets and showers, shops, restaurants and drinkable water. Parking is allowed in the camp area. It is opened from April 15th until September 30th. Contact information: 569 452 286 and the cell phone 728 614 243. Camp Slunecni zatoka, left river bank of the Sazava river. Accommodation is possible in tents as well as in rooms of one building (reservation needed in advance). The camp is opened from May 1st until October 31st. Contact information: 777 085 608, 775 085 607. For further camp sites see the website: http://www.padlo.cz/reka/9/sazava/kempy.html. There is also a possibility to stay overnight in small cottages in the area called Kemp v rakosi (http://www.kemprakosi.cz/). The areal was opened in 2010 and it is located in the town Zruce nad Sazavou. The advantage is that it is opened the whole year. It offers three two-bed cottages, five three-bed cottages and six four-bed cottages, all equipped by the toilet. Showers are common. Lipno, a water dam with hydroelectric plant constructed along the Vltava river in southern Czech Republic offers a number of different sport activities ranging from swimming, kayaking, canoeing, windsurfing, yachting and kite-boarding. One can also visit the Aquaworld. It all makes Lipno a unique place in Czech Republic. There are many towns where you can go to get to Lipno. The main towns are Frymburk, Lipno nad Vltavou, Loucovice or to get to Lipno II you should go to Vyssi Brod. For connections, please, go to www.jizdnirady.cz. LODENICE LIPNO, Lipno nad Vltavou 1000. 382 78 Lipno nad Vltavou, www.lodenicelipno.cz, tel: 724 202 689, lodenicelipno@email.cz . For accommodation in Vyssi Brod: http://www.penziony.cz/ubytovani/vyssi-brod/. There are three hints I would like to stress at the end of this blog. First, learn the terrain and river difficulty before you decide to go (you may also want to read a guide for Czech rivers ,“Vodacky pruvodce po ceskych rekach”, even though it may be limited to Czech language only). Second, please, always check the water conditions on the rivers as you may end up carrying boats for a significant part of your trip. And third, keep in mind that you may need to order kayaks quite in advance due to popularity of water sports. Enjoy refreshing water!